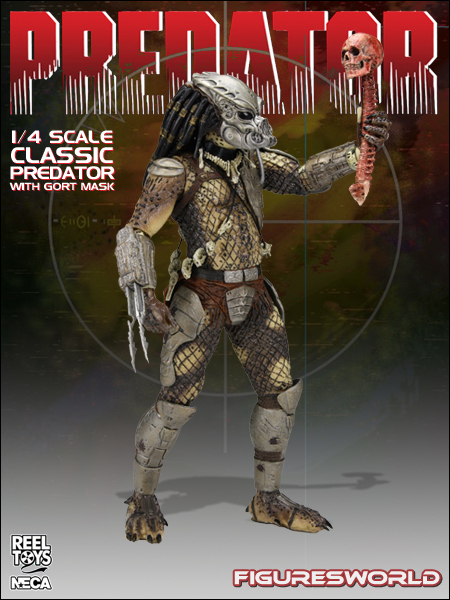 Now in 1:4 Scale! 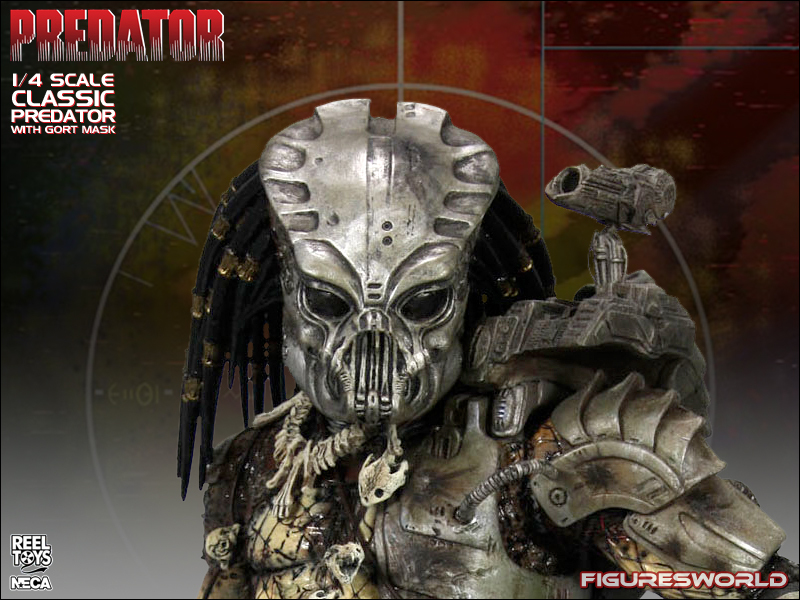 The original 1987 version of the Predator with the original prototype mask not used on screen but known to Predator fans worldwide, the “Gort” mask. 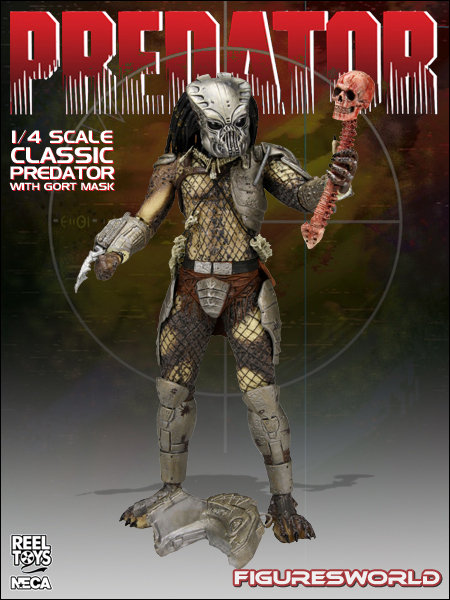 As seen in behind the scenes footage and the Stan Winston “Winston Effect” book. 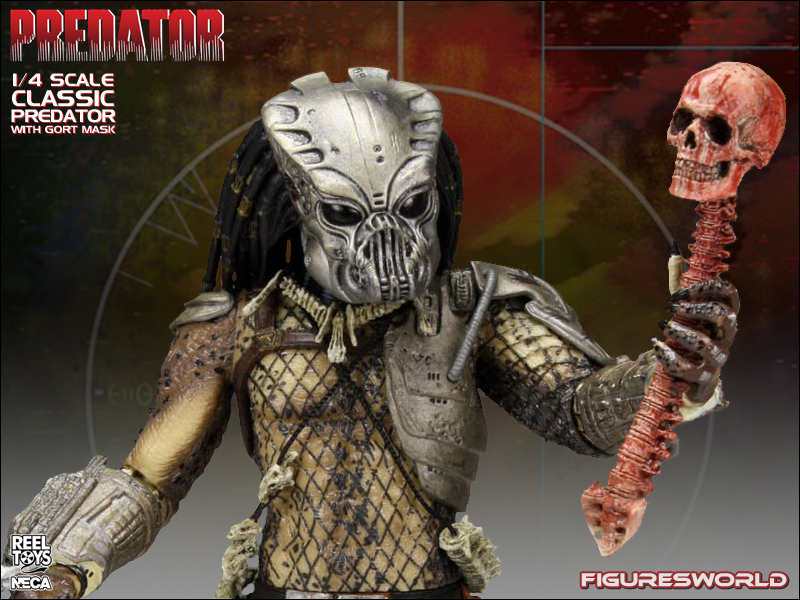 The 1:4 Scale Classic Predator also includes a newly sculpted left hand holding a skull and spine trophy.